For as little as $200 we'll create your own custom newsletter! 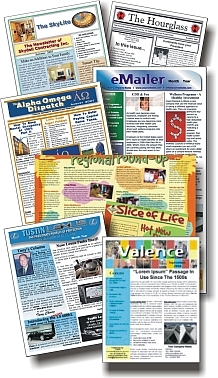 "Affordable Custom Newsletters with Personal Hands-On Service"
For as little as $200 per issue we will create a custom newsletter you will be proud represents you! Because of the variety of newsletter formats, services and discounts we offer, it is impossible to provide all relevant pricing here. We therefore suggest that you CLICK HERE and tell us about your newsletter plans. As soon as your message arrives, we'll put together pricing information specific to your requirements and send it back by return eMail. We will also be happy to give you a call to discuss your newsletter requirements further and present some options to make your newsletters as effective and economical as possible. Just include your phone number and a good time to call you - we are on Pacific Time. 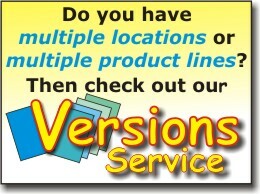 Click HERE for more Pricing info. Copyright 2014, Logo Custom Applications. All Rights Reserved.